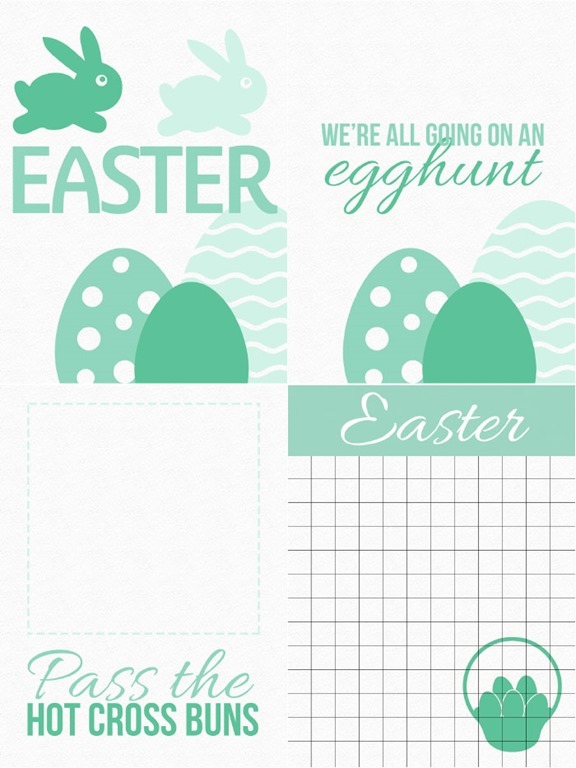 Today I have some free Easter themed filler and journal cards for your personal use in four colour schemes. I included an Autumn colour scheme as it’s Autumn here in the Southern Hemisphere as well as the more ‘traditional’ pastel schemes. 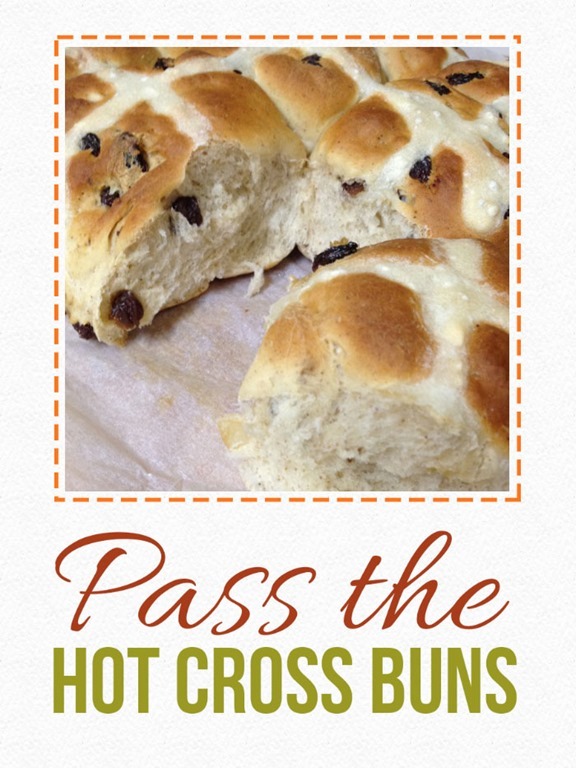 Because Hot Cross Buns are a big deal for me around Easter I included a blank square to put a photo of your hot cross buns in, either physically or digitally. 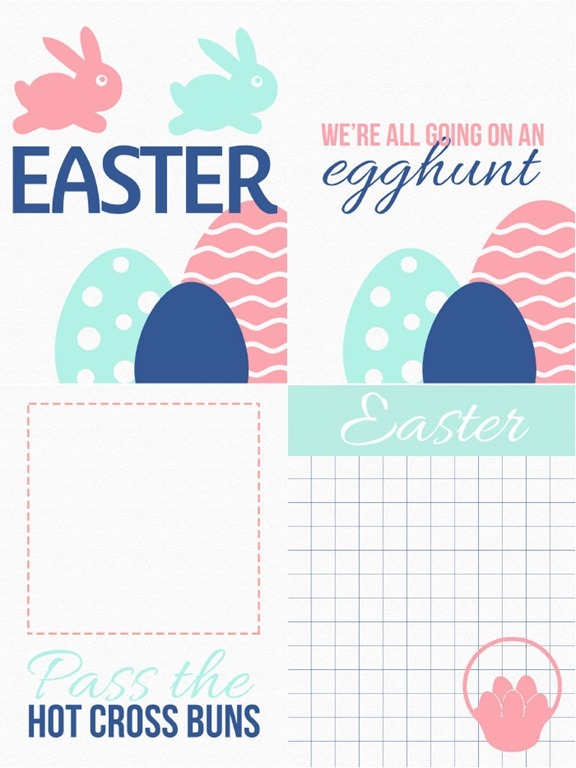 If you do it digitally you’ll need to either crop a photo square then drag it on, or create a square on the jpg file, then clip your photo to it. There are plenty of excellent tutorials on the web to help you do this. 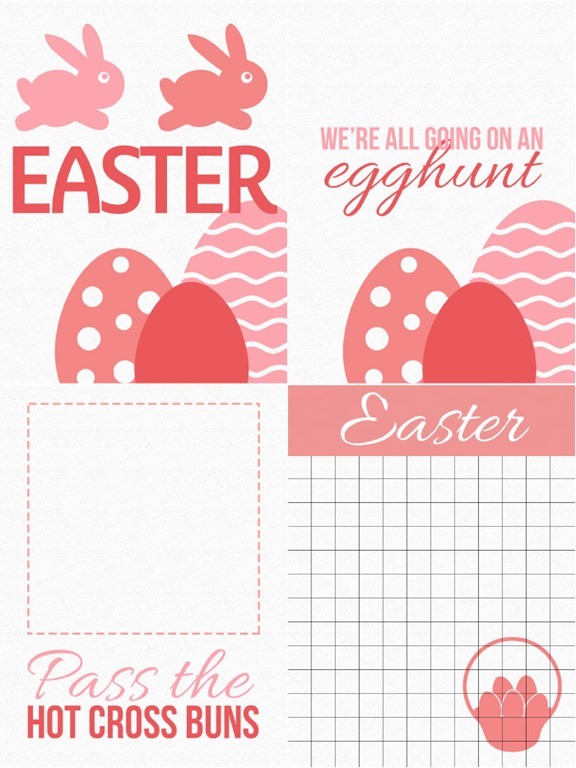 The cards are all 3×4 and you can download them below. I hope you enjoy them! Comments and pins are always appreciated! 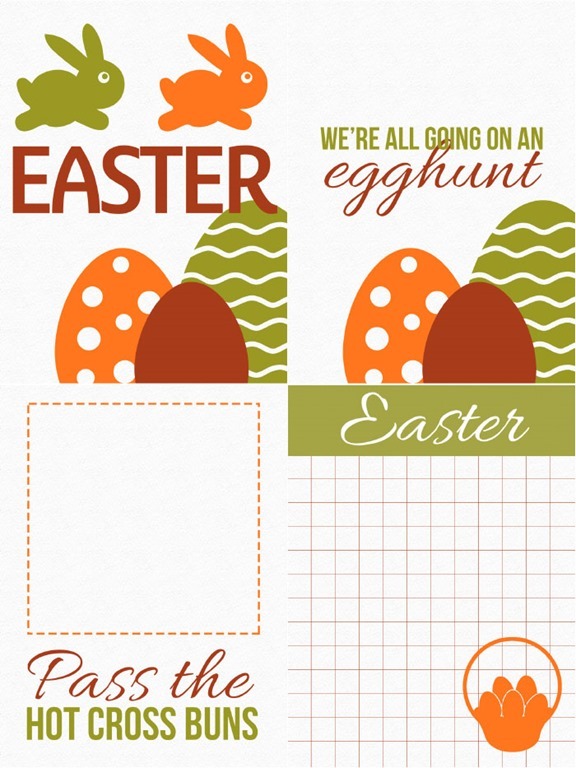 Thank you for sharing the Easter cards. They are lovely. Charming AND so appreciated!! Thank you.